http://tacticalimaging.com/x22-low-cost-affordable-low-cost-thermal-flir-imaging-weapon-sighting-scope/ Clicking Here Isadore Seigfreid Jachman was born in Berlin, Germany on December 14, 1922. When he was two years old, he emigrated to the United States with his parents, who settled in Baltimore, Maryland. He became a naturalized US citizen and then volunteered to fight for his adopted country in the United States Army on November 17, 1942. Jachman also volunteered for airborne duty, and after completing all his training was assigned to Company B, 2nd Battalion, 513rd Parachute Infantry Regiment, part of the 17th Airborne Division. 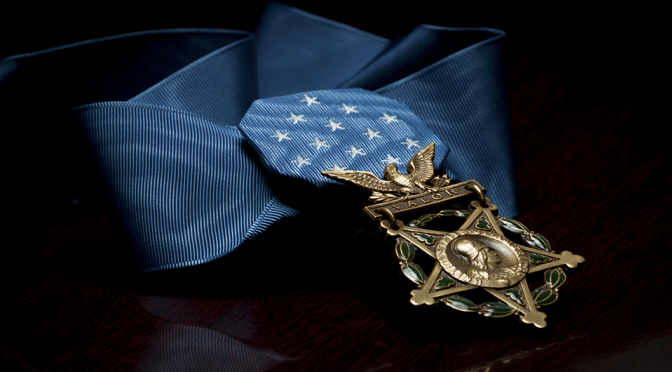 With nothing but a bazooka and his indomitable courage, he stopped the counter-attack of two Nazi tanks on January 4, 1945 at Flamierge, Belgium and was later posthumously decorated with the Medal of Honor. Citation: For conspicuous gallantry and intrepidity above and beyond the call of duty at Flamierge, Belgium, on 4 January 1945, when his company was pinned down by enemy artillery, mortar, and small arms fire, 2 hostile tanks attacked the unit, inflicting heavy. casualties. S/Sgt. Jachman, seeing the desperate plight of his comrades, left his place of cover and with total disregard for his own safety dashed across open ground through a hail of fire and seizing a bazooka from a fallen comrade advanced on the tanks, which concentrated their fire on him. Firing the weapon alone, he damaged one and forced both to retire. S/Sgt. Jachman’s heroic action, in which he suffered fatal wounds, disrupted the entire enemy attack, reflecting the highest credit upon himself and the parachute infantry. Several members of Jachman’s family who remained in Germany were murdered by the Nazis during the Holocaust. Staff Sergeant Jachman’s remains were repatriated to the United States and buried in the Adahs Israel Congregation Cemetery in Baltimore. Both the 513th Parachute Infantry and the 17th Airborne Division have been inactive since the immediate post-war time in 1945. Previous PostPrivate First Class George B. Turner, USA (January 3, 1945)Next Post#TFH Live, January 5: 114th Congress Eve, Stuart Scott Tribute, & More!